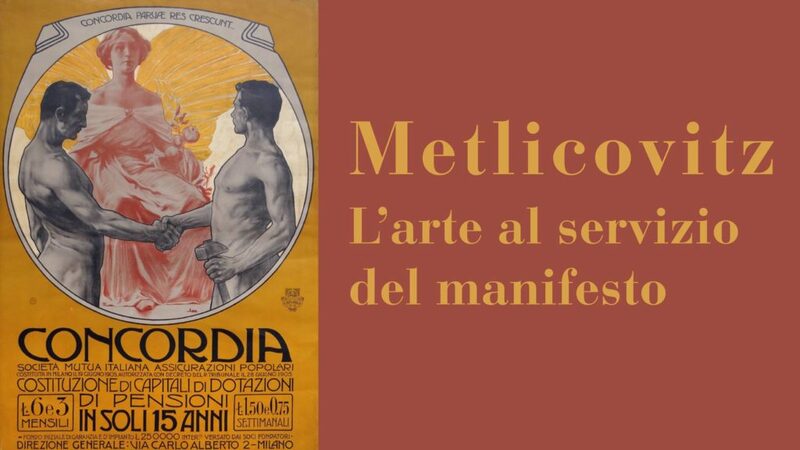 On the occasion of the 150 years from the birth of Leopoldo Metlicovitz, Archivio Storico Ricordi, Società Storica Lombarda and Biblioteca Nazionale Braidense, in collaboration with Fondazione Mansutti organize a conference to remember the figure and the work of the main artists of the poster art. Leopoldo Metlicovitz (Trieste, 1868 – Ponte Lambro, 1944) is the key man in the complex advertisement system of Casa Ricordi and contributes to define the physiognomy. Posters, billboards, postcards, drawings to distribute to the subscribers of the theatre, decorations on the score covers, signs to advertise a product: to each thing Metlicovitz gives his mark confident and classic. His graphic works define the spirt of the time, are fixed in the collective imaginary and set up a perfect word of Melodrama heroines, inaugurations of boats, perfumes “Fleurs de Mousse”, Argentine tango. Conference of Vittoria Crespi Morbio, introduction by Maria Pia Ferraris (Archivio Storico Ricordi).